Lawyers play a vital and largely underappreciated role in constituting legal certainties about substances and ‘addiction’, including links between alcohol and other drugs, and phenomena such as family violence. Such practices exacerbate, sustain and stabilise ‘addicted’ realities, with a range of implications – many of them seemingly unjust – for people who use alcohol and other drugs. 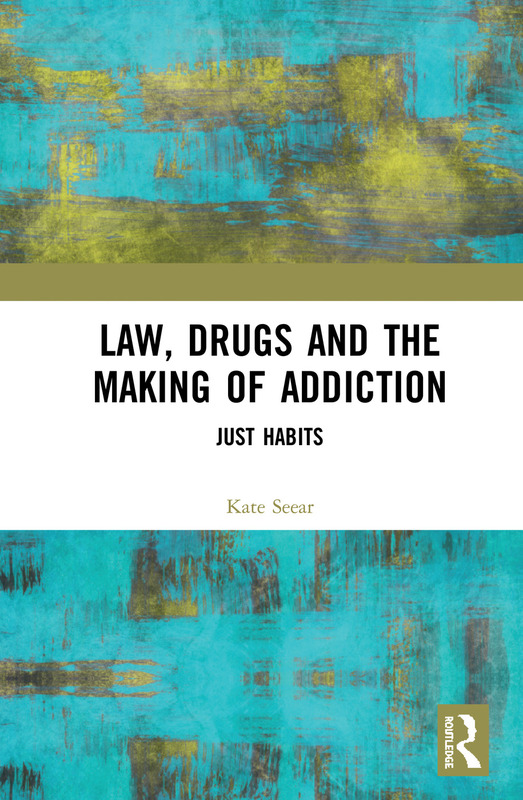 This book explores these issues, drawing upon data collected for a major international study on alcohol and other drugs in the law, including interviews with lawyers, magistrates and judges, analyses of case law, and legislation. Focusing on an array of legal practices, including processes of law-making, human rights deliberations, advocacy and negotiation strategies and the sentencing of offenders, and buttressed by overarching analyses of the ethics and politics of such practices, it looks at how alcohol and other drug ‘addiction’ emerges and is concretised through the everyday work lawyers and decision makers do. Foregrounding ‘practices’, the book also shows that law is more fragile than we might assume. It concludes by presenting a blueprint for how lawyers can rethink their advocacy practices in light of this fragility, and the opportunities it presents for remaking law, and the subjects and objects shaped by it. This ground-breaking book will be of interest not only to those studying and working within the field of alcohol and drug addiction, but also to lawyers and judges practicing in this area, and to scholars in a range of disciplines, including law, science and technology studies, sociology, gender studies and cultural studies. Introduction: Slowing down. Peering in. Kate Seear is an Associate Professor in Law at Monash University, Australia. She is an Australian Research Council DECRA Fellow (2016–2019), the Academic Director of the Springvale Monash Legal Service, an Adjunct Research Fellow in the Social Studies of Addiction Concepts research program at the National Drug Research Institute in the Faculty of Health Sciences at Curtin University, and a practising lawyer. She is the author of Making Disease, Making Citizens: The Politics of Hepatitis C (with Suzanne Fraser) and The Makings of a Modern Epidemic: Endometriosis, Gender and Politics,and co-editor of the collection Critical Perspectives on Coercive Interventions: Law, Medicine and Society (with Claire Spivakovsky and Adrian Carter).